Wow! You've improved a ton in not a lot of time, I think the eyes look good and so does the shading. Keep it up!! Nice job! The shading you did really adds to it. I'm so proud of you, look at all this progress you've made! Thanks! I have been thinking about drawing some other characters actually, so stay tuned! We had to illustrate a proverb in Spanish and I decided to do "Cuando el río truena, es porque piedras llevan." It looks cool, there's definitely some time in drawing all those rocks. The water textures are also cool, and adding some in the grass would be excellent. It looks like the place a river otter would live tbh. Although I already submitted the assignment it was for, I think I'll keep working on it for art's sake. That's really pretty! Cuando el río truena, es porque piedras llevan. That's an interesting quote, I speak... "ok" Spanish. I live in California so Spanish is kinda everywhere. 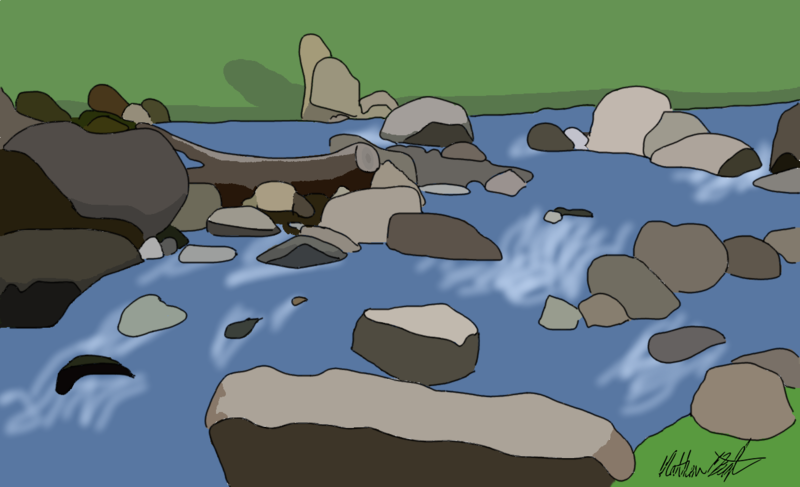 Anyways the whole scene is really well done, and so is the shading especially on the rocks. Keep it up!! This is one of my favorite train locomotives; I've always loved stubby little switcher engines. 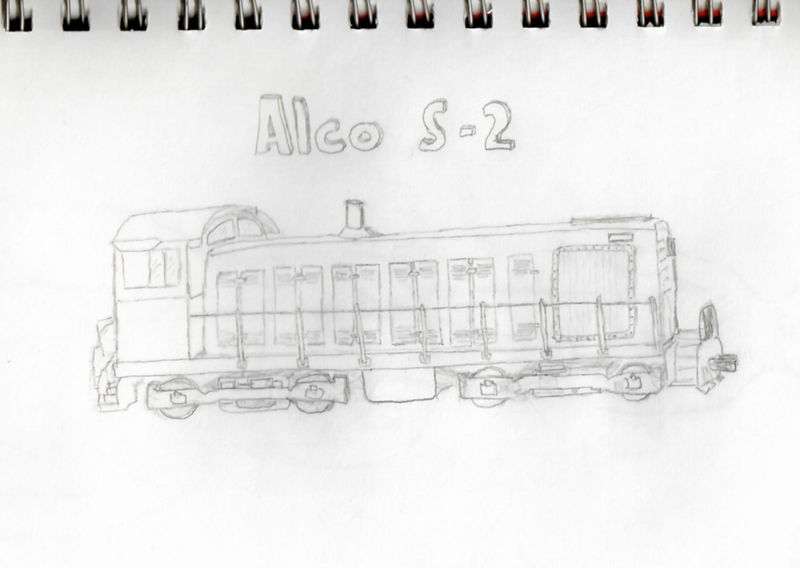 Woah, you draw trains too? cool! You draw vehicles really well! Hey that's a pretty cool train, and your fox isn't looking bad either. I love all the clean straight lines on the locomotive. I don't get to see them that often in real life, but I have a model railroad so there's that at least. This is nice! If you do keep working on it, you could try working in more texture to the rocks and grass. You did a great job overall though, landscapes are really difficult. What does the proverb say/mean, for those of us not linguistically-inclined? I think it literally translates to "when the river thunders, it's because the rocks carry," which I'm pretty sure corresponds with the English language proverb "every lie has a grain of truth." I tried a new method of making eyes that I'm pretty happy with. 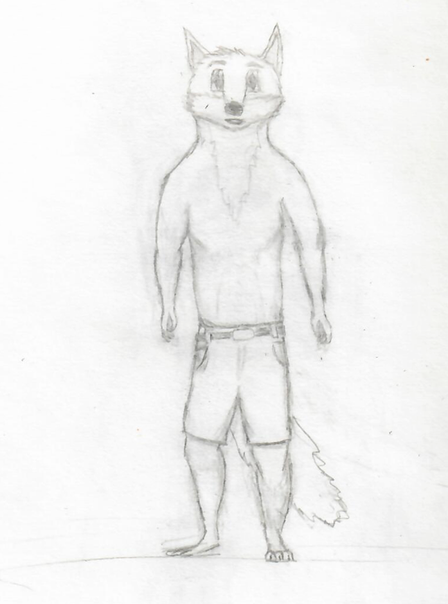 Also, I'm experimenting with making his fur a bit more red-ish. 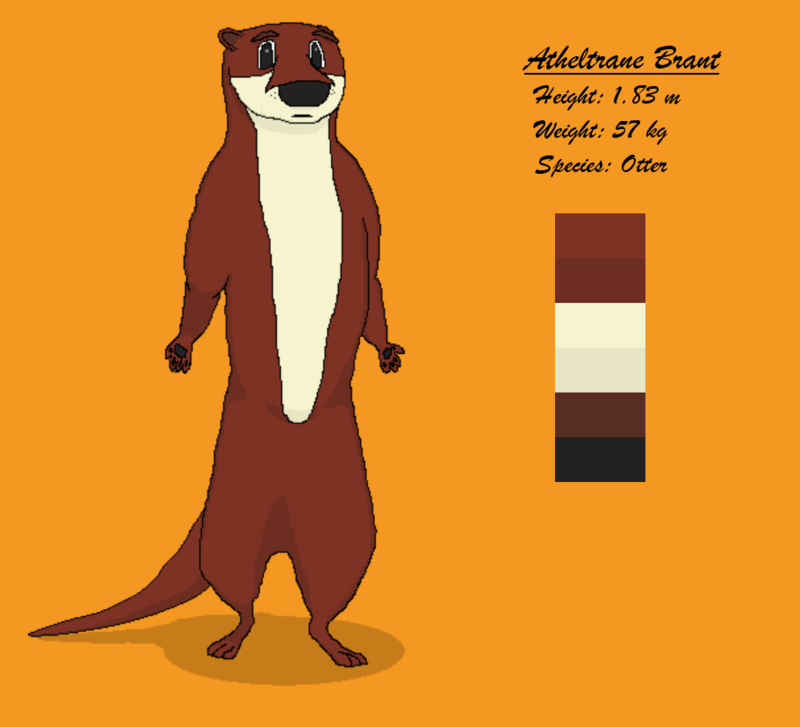 Overall, I'm pretty satisfied with how it came out! Omg that looks really cute!